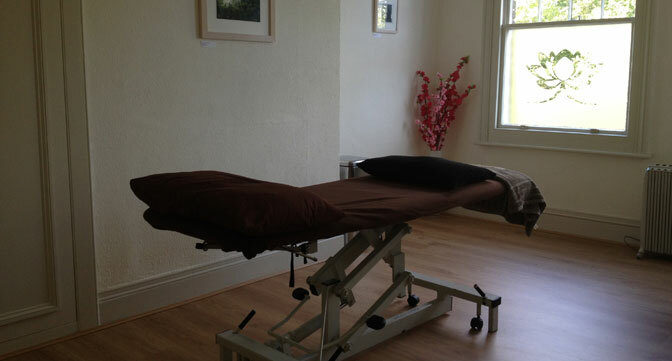 We have several light, calm, spacious body work rooms. Two rooms have hydraulic or electric treatment couches and three have comfortable wooden framed height adjustable massage couches. Treatment couch, couch rolls and comfortable seating.